Bats are creatures that we often see at night, if you have your home in the countryside or are still in the natural conditions, in the afternoon many will be milling about. Java people call bats as kalong. In some areas, these animals are sacred and are associated with the spirits activities. If we look closely, the bat will be very frightening with sharp teeth like vampires. Behind it all there are some interesting facts about this bird. What are they? just look at some of the following facts about bats. 1 | Bat are the only mammals that can fly. 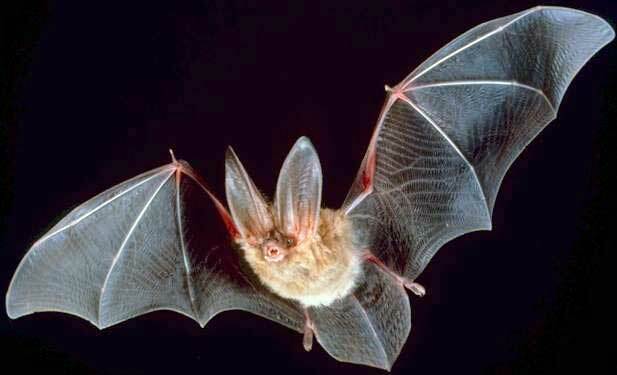 2 | The bat wing is an elastic part of the skin of the stomach called patagium. 3 | The number of bones in the fingers and toes of the bat is similar to humans because bats and humans come from the same ancestor. 4 | Bats can live up to 30 years. 5 | Bats have the ability to fly better than birds, thin wing membranes make it lighter, flexible and can maneuver sharply and quickly. 6 | Bats are the fastest creatures on earth because they have a flying speed of more than 100 mph. 7 | Bats are able to find their prey and fly in total darkness because they have the ability of echolocation, which is an ability to listening to the reflection of the high-frequency sounds that they produce themselves. 8 | Bat foods are insects like mosquitoes, they can eat thousands of mosquitoes every hour, besides some other species eat fruits, this species is commonly found in Indonesia, there are also blood-sucking bats this species is rarely found but still exists. 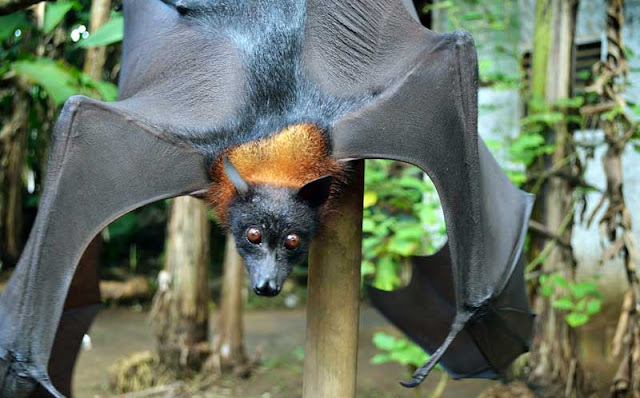 9 | The largest species of bat is the Flying Fox or Pteropus Vampyrus which has a wingspan of about 6 feet or nearly 2 meters. The habitat of this species is tropical as in Asia including Indonesia. 10 | Whereas the smallest bat in the world is bumblebee bat in Thailand. The size is smaller than the human finger, this also makes it the smallest mammal in the world. 11 | Bats only give birth once a year, this makes them very vulnerable to extinction. 12 | The bat mother is able to find her child among thousands of bats from the unique sound and smell. 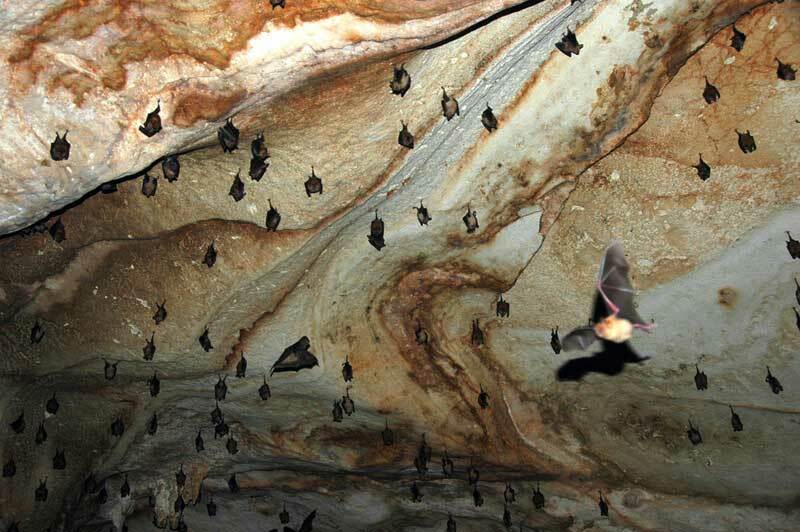 13 | Most bats choose caves as their habitat because they are moist, shady and safe from predators. 14 | Reverse sleeping bats hang on the twigs or on the ceiling of the cave. According to research, the upside down position makes it easy to take off and fly. 15 | Bats cannot fly from below, because their wings have a weak lift. So if they fall to the ground it will be difficult to fly, to fly back the bats will climb to higher ground and drop their bodies to take off.